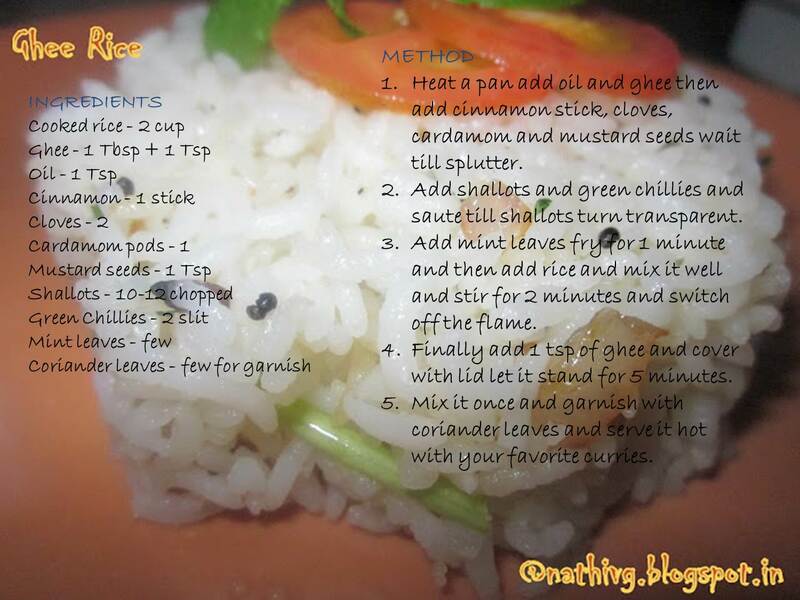 Coming to my today’s post that u all knows already is Ghee Rice… Yeah! Ghee is her favorite one at any form. 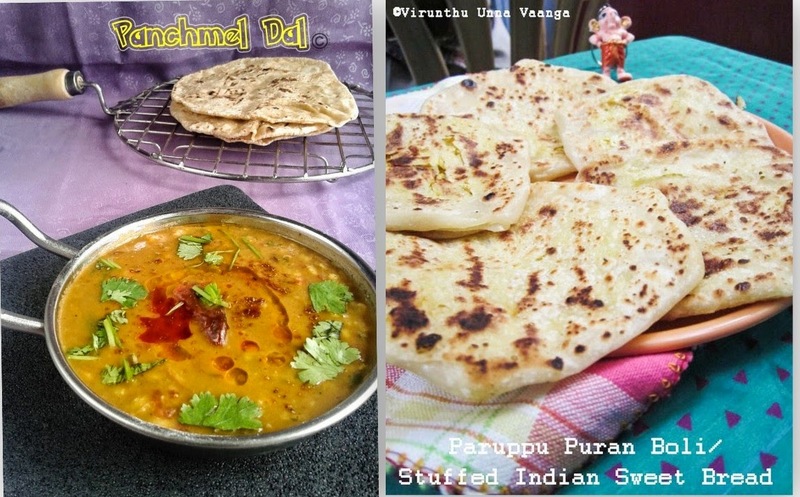 Here I prepared in a simple manner and it has many variations. This is one of the most simplest yet delicious recipe. It is a very popular dish and can be prepared very quickly. The freshness of ghee will enhance the taste well and it is prepared by various methods. We can prepare this ghee rice simple to rich by using nuts and all and it goes with any kind of vegetable curries or spicy side dish items... Traditional ghee rice gives rich nutty taste with caramelized onions. But here I prepared it very simple to reduce the calories. Regular consumption of pure ghee enhances physical and mental strength and keeps the body healthy and it taking out the impurities from the body. It enhances eyesight, keeps muscles and tendons healthy. For people with cholesterol problems, ghee is a better option as compared to butter as pure ghee is lower in fat than butter. It is easiest to digest coz of lesser amount of fat. It is full of vitamins A,D,E and K.
The body needs certain fats in its diet in order to perform vital functions, including protecting the stomach wall from digestive acids, building and strengthening cell membranes and supporting nerve, skin and brain health. so the fats in ghee provide these benefits without any of the trans-fats, hydrogenated oils or oxidized cholesterol of butter and other oils. Heat a pan add oil and ghee then add cinnamon stick, cloves, cardamom and mustard seeds wait till splutter. Add shallots and green chillies and saute till shallots turn transparent. 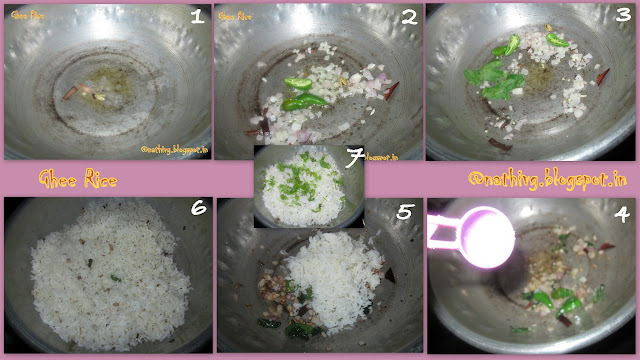 Add mint leaves fry for 1 minute and then add rice and mix it well and stir for 2 minutes and switch off the flame. Finally add 1 tsp of ghee and cover with lid let it stand for 5 minutes. Mix it once and garnish with coriander leaves and serve it hot with your favorite curries. YUMMY GHEE RICE!!! ITS SIMPLE BUT MORE TASTY!!! If you wish add a handful of boiled green peas or carrot to it. You can fry cashew nuts and raisins in ghee and garnish it. You can garnish it with caramelized onions. loved your clicks and rice. Very flavorful, supertempting rice. My alltime fav dish.. I luv the mold that u hv used to get the flower shape. Beautiful clicks. Ghee rice makes me feel hungry now. So yummy. Love your presentation of Ghee rice. Sounds delicious. Not only Nathiya, everyone loves this dear. Love this rice! 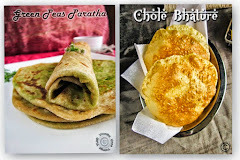 very versatile recipe :) Nice clicks! Needless to say ghee rice is one of our family favourite,just love this rice. Very simple and tasty rice! Yum! ah, we make very simple ghee rice with roasted cumin and crushed black pepper. But this one seems interesting Viji!